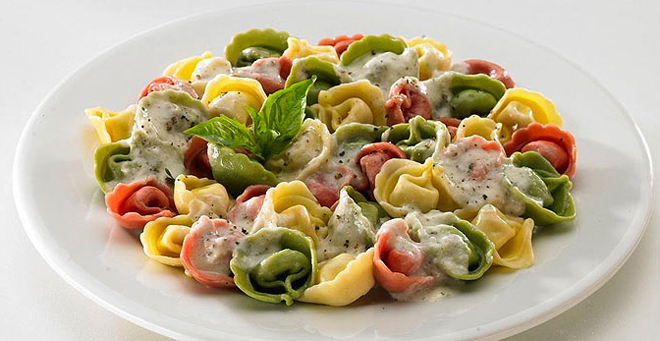 In a town that has an abundance of really excellent Italian cuisine, it’s really tough to stand out, but Venda Ravioli manages to do just that. 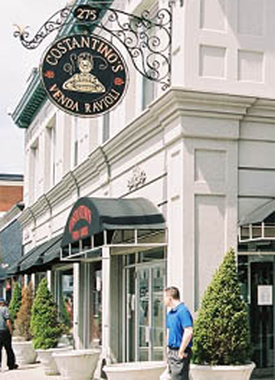 Labeling itself Rhode Island’s Italian Grocery Store, Venda Ravioli offers a complete selection of Italian specialties from fresh homemade pastas to gourmet cheeses, olive oils, meats and breads. 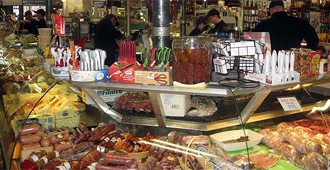 Upon entering the store, it is impossible to miss the large wraparound display case that contains an abundance of prepared Italian dishes, which can be eaten on the premises or taken home. The selection available is extensive and all prepared to the highest standards. Their antipasto is a savory assortment of Venda’s finest Italian cold cuts with mixed olives, roasted peppers, imported provolone, onions, grape tomatoes, cucumbers and marinated mushrooms. The cold cut tray is comprised of such delights as Genoa salami, capicola, mild provolone, soppressata, prosciutto and Boar’s Head ham. 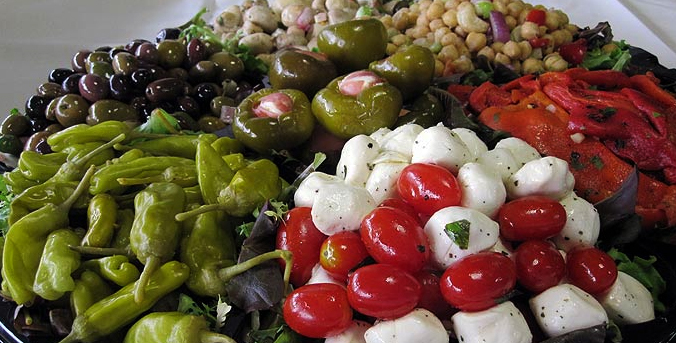 A fabulous relish tray sets out a zesty collection of marinated mushrooms, roasted peppers, peperoncini, mixed olives, chickpea salad, stuffed cherry peppers, mozzarella and grape tomato salad. The assortment of imported cheeses and olives includes Olives Fontanella, Fiore di Sardinia, Red Pepper Rustico, Goat and Gouda cheeses beautifully presented with white and green seedless grapes. 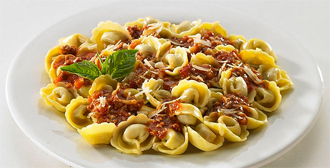 Of course, one Italian dish that is a favorite of both vegetarians and meat eaters is Eggplant Parmigiano and nobody does it like Venda Ravioli whose fresh eggplant wheels are breaded and baked (not fried), then topped with Venda’s famous marinara sauce and shredded mozzarella. The eggplant parm goes especially well with a side of fresh Broccoli Rabe which is prepared according to Venda’s secret recipe. To make Venda’s Broccoli Rabe into a full meal simply add some of Venda’s homemade Italian sausage and serve it over your favorite pasta. There are two specialties of house Stuffed Artichokes. One is made with large fresh artichokes that are sliced in half and stuffed with a mixture of pepperoni, mozzarella and Romano cheeses, olives, onions, celery and Venda’s own bread stuffing. The other is an artichoke stuffed with real and imitation crab and a stuffing made with sweet Vidalia onions, celery, shredded mozzarella cheese, Ritz crackers, white wine, butter and parsley. What’s an Italian grocery without Stuffed Peppers? Venda uses bright red peppers stuffed with a mixture of pepperoni, mozzarella and Romano cheeses, olives, onions, celery and Venda’s own breadcrumbs. These always fresh peppers are large so plan on ½ a pepper per person. Arancini (Rice Balls) is a classic dish from Sicily. Arborio rice is cooked to perfection and mixed with Romano cheese, mozzarella and prosciutto di Parma, then formed into generous balls. The rice balls are coated lightly with breadcrumbs and pan-fried until golden brown. Why go through all the work of making lasagna when Venda’s unique and delicious lasagna is on the menu? Made with their own pasta sheets, marinara sauce, and a medley of Italian cheeses: Romano, mozzarella and ricotta will satisfy any Italian mama. Venda also offers a strictly cheese lasagna or a meat lasagna that contains layers of sliced meatballs. Speaking of Italian mamas, Venda’s Mama’s Meatballs uses the freshest ground beef to make their famous meatballs, mixed with fresh garlic, fresh parsley, Romano cheese, eggs and their breadcrumbs. The assortment of chicken dishes includes chicken cutlets that are pan-fried in the authentic Old World style and offered plain or topped with marinara sauce and Parmigiano cheese for a traditional Chicken Parmigiano. Or you can try Venda’s Chicken Marsala, another classic dish from Sicily. Venda’s chef cuts fresh chicken breasts into pieces, then sautés the chicken with Marsala wine and button mushrooms until cooked to perfection. Chicken Wings, Italian-Style are nothing like the wings at TGI Fridays. The meaty wings are flavored with extra virgin olive oil, fresh garlic, fresh rosemary, fresh lemon juice, red pepper flakes and parsley. Hungry? These are only a small sampling of the dishes available at Rhode Island’s best Italian grocery. Buon Appetito. All photos are provided courtesy of Venda Ravioli.